Working for a successful office Move every time. 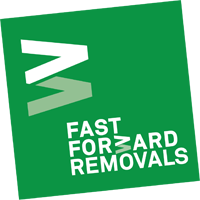 Our Secure & Insured Removal Services with experienced trained staff will provide your business with an accurate quote & a quality service. We are recommended & approved with many satisfied customers. Assured prices with no hidden charges, Members of AIM – RHA – FSB. We can do some or all of the packing for you, or help your staff pack themselves with a choice of Crates and other materials. A range of packaging for Office moving including plastic stacking Crates. We only use New Extra Strong Quality cardboard Packing materials.